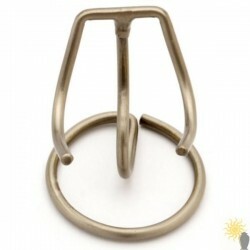 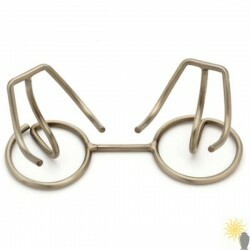 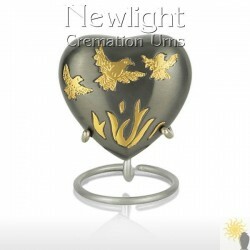 The Exodus Heart keepsake is a very high quality solid cast brass ashes keepsake. 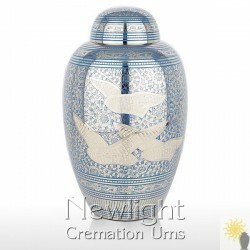 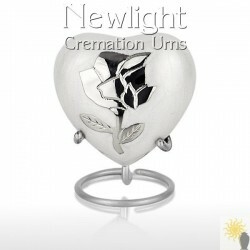 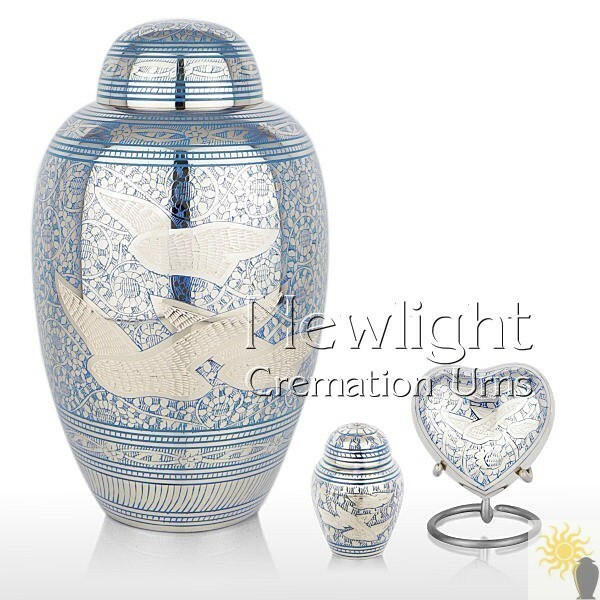 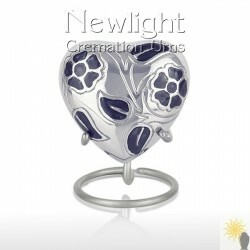 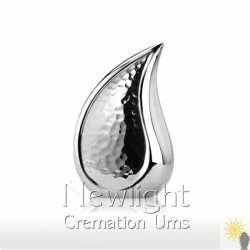 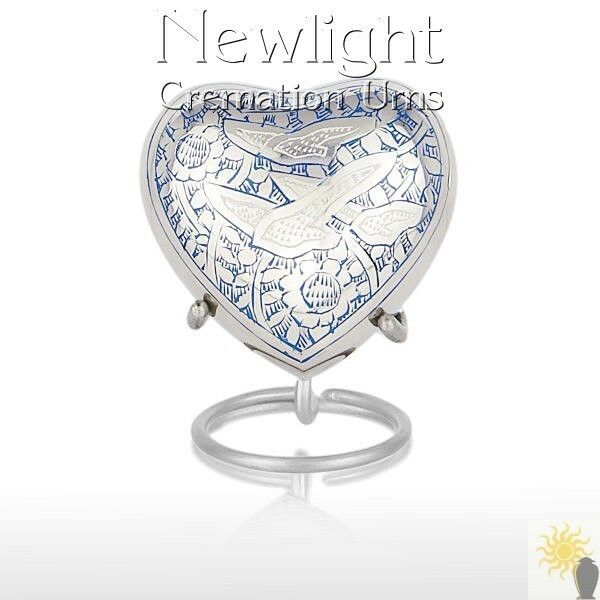 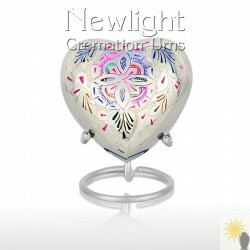 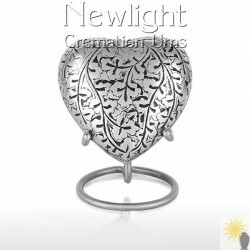 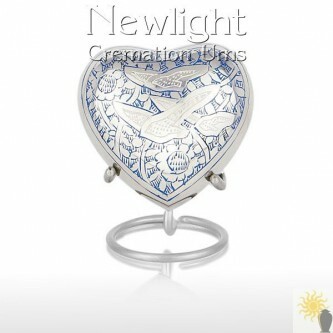 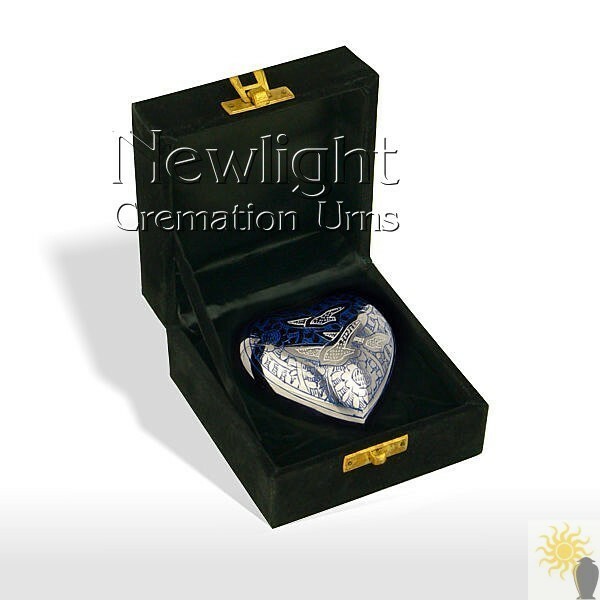 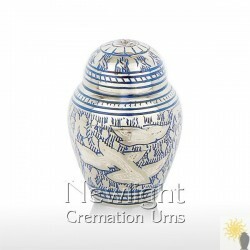 This keepsake has a heart shaped chrome body and is embellished with blue engraving with a flying bird motif and is designed to hold a small amount of the cremation ashes. 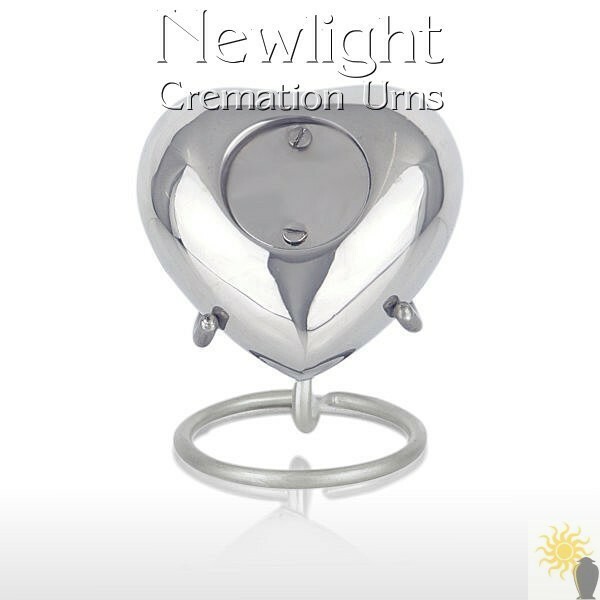 Your loved ones ashes will always be safe as they are placed into the keepsake through the back plate that is fitted with screws to secure the ashes inside.